Hello! It’s been a while since we’ve gone live with an update, since we’ve been holding back for a more regular, larger update cycle to fit with school technology needs better. 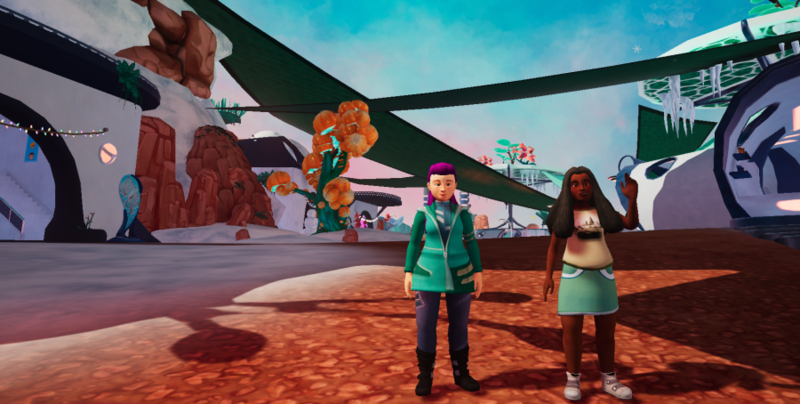 We’ve also been working on some work with grants that is not ready to go live yet, like a brand new MASSIVE Sandbox, so there’s a lot more coming later. But it was time, because we have a LOT of updates, mainly focused on usability — i.e. making it easier and more intuitive to play the game. We’ve learned a lot from more testing and research and time in schools, and have integrated that into this update. 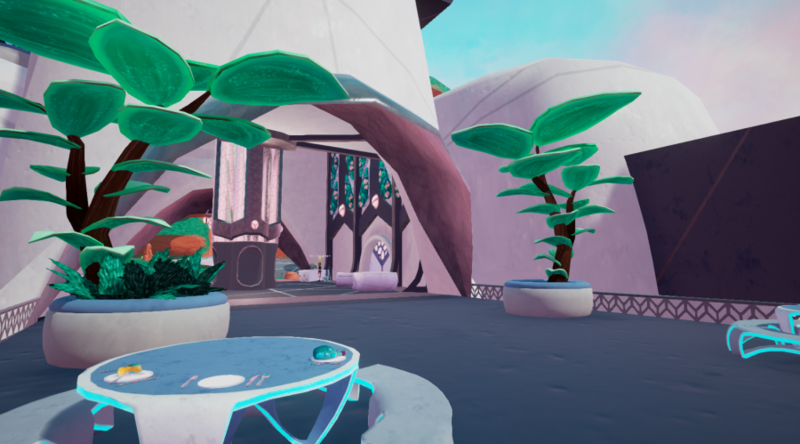 There’s more than we can reasonably go over here, so we’re going to highlight the main changes! Part of these updates involved improving three of our quest mechanics. 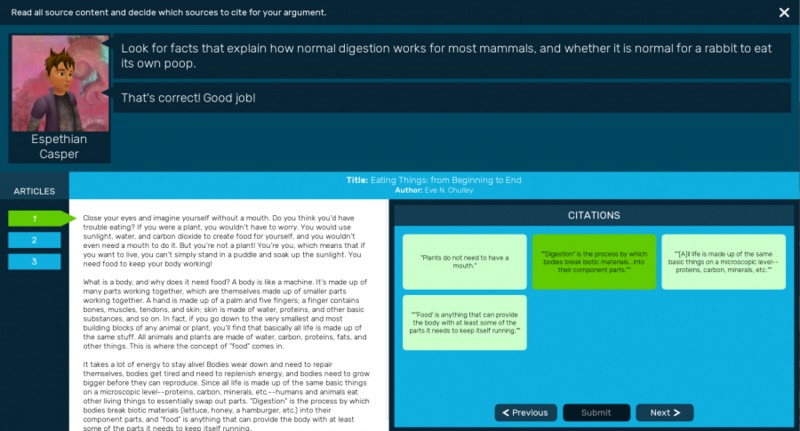 First is the Argument Builder, which students were sometimes getting stuck on, so we wanted to make some improvements. Designed to be more like a conversation now, going back and forth between the character and yourself (making your arguments). You no longer create argument cards and THEN play them… since nearly everyone just played them right after they created them anyway. Now you create and press “argue” as part of the conversation. We have increased focus on the questions that the character asks now, and you need to answer them when you play, vs. being able to play any argument regardless of what was asked. There’s now a log of the arguments you’ve used on the right so you can keep track of what you’ve tried, and the feedback. 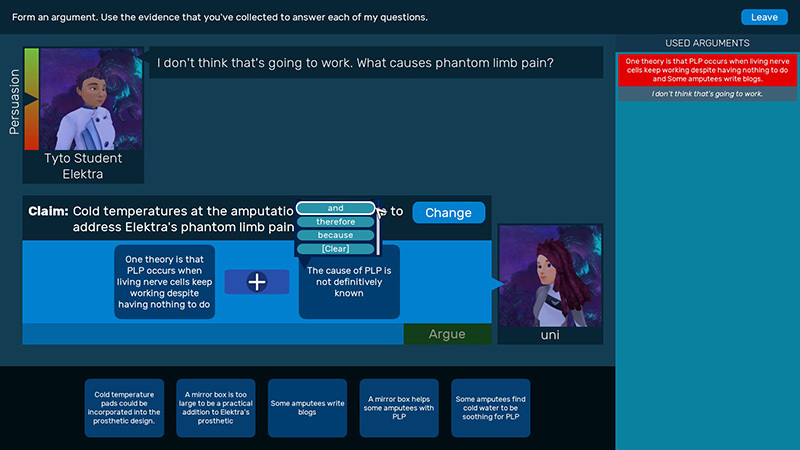 We also improved feedback for wrong answers! It’s now full screen so you can see the image more clearly (and soon we’re going to start adding some horizontal images to fill up the space better). When you click on a region marked in the image, it will be highlighted (see the light green), letting you know what all is covered with that click so you can more clearly see what has or has not been clicked. You can turn this off with the toggle at the bottom (“show outlines”) if you are not a fan. We continued with observations on the right for a reference log, and the numbers there match up to the numbers on the image for reference (and will also show up incorrect attempts that we have defined feedback for). Again, it’s been updated to have a conversation with the character you are questing with at the top. 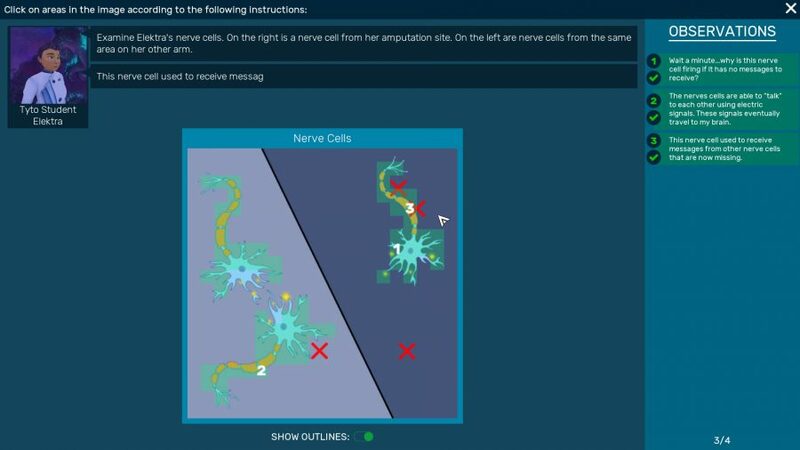 We removed the initial screen where students had to select if they wanted to use the article at all, simplifying the interaction. The articles and their titles and information now have an improved appearance. 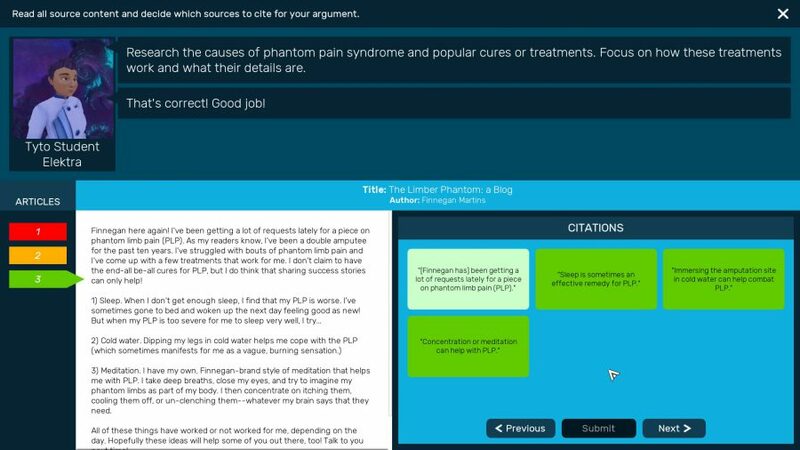 The mechanic now gives feedback for specific articles, so rather than just saying you are missing a selected citation somewhere, it will tell you which article it’s on. Players may now only have ONE tracked quest at a time (showing up on the Quest Tracker on the right). They can still have multiple active quests, but only the tracked quest will show instructions for what to do next and items on the map. This helps clarity of direction for players. Improved visibility of items on the map. Also, transit doors will be marked on the map if you need to travel to a new zone as part of the quest! 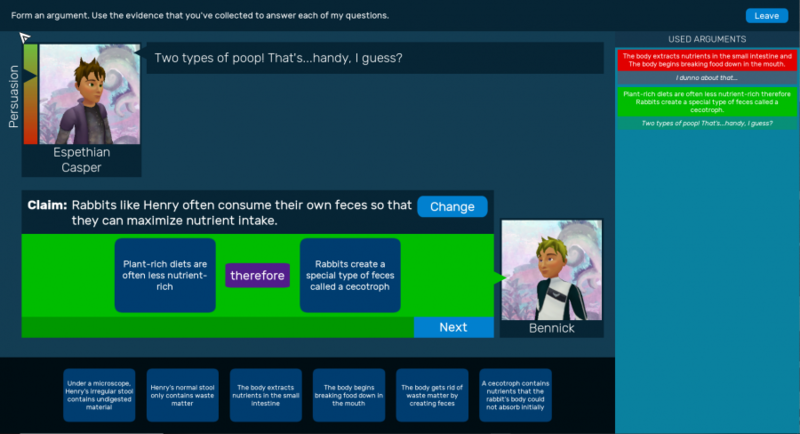 Moved the character’s lines to the bottom during the full-screen quest discussions, so it’s easier for students to watch it and then respond without having to look from the top to the bottom of the screen. Improved the initial tutorial room by simplifying some steps (there is now only ONE platform to jump on, not two, for example), and removing some dialogue. Characters you need to talk to for a quest now have icons above their heads. Changed the appearance of the mouse pointer for clarity. 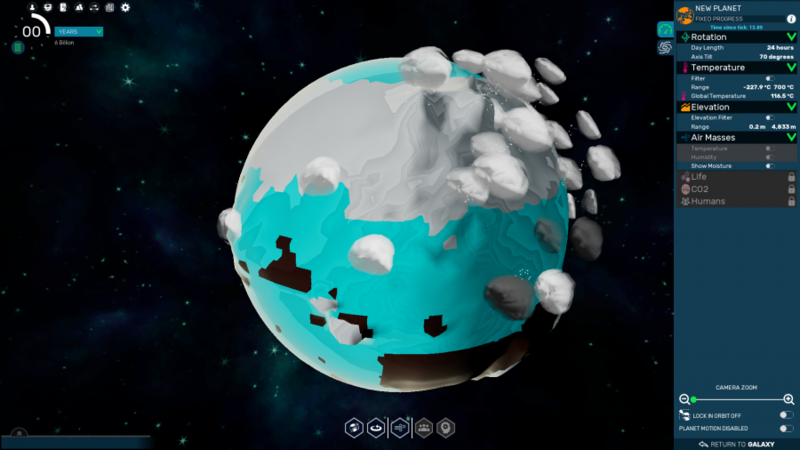 Changed the appearance of the tranquil-icer ability, so it’s more of a semi-sphere effect for where you are tossing it. Fixed some bugs specific to Chromebook, like territories not showing up in the H.E.L.O. Added subtitles to all lore videos. Next Post Dept. of Ed. SBIR Phase I Update!